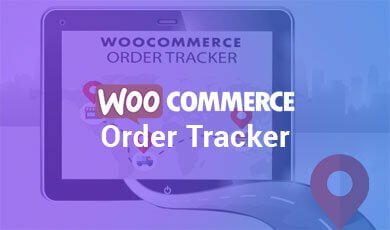 The Ultimate solution for your whole order tracking process is only the WooCommerce Order Tracker. their orders. It is very easy to customize and simple to use. So for this, we come with some new and exciting features in this plugin. A graphical and user interactive frontend for tracking order. Admin can use the templates for order tracking. 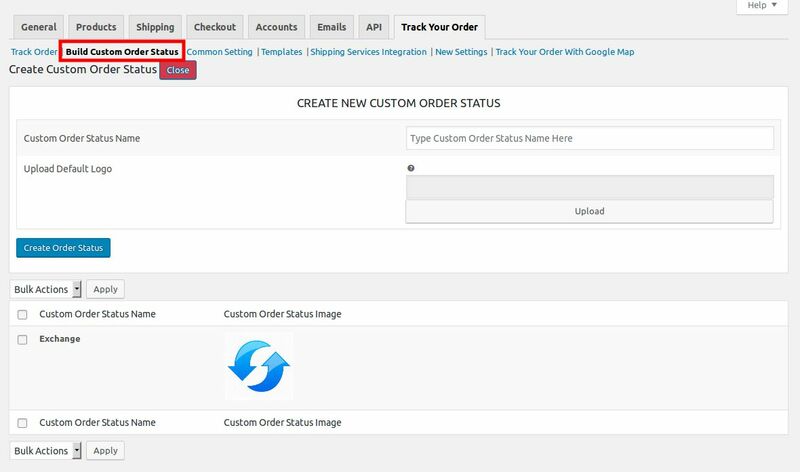 Shop admin can create custom order statuses for making a more interactive frontend for tracking order. Shop admin can enable the pop-up view of order status. 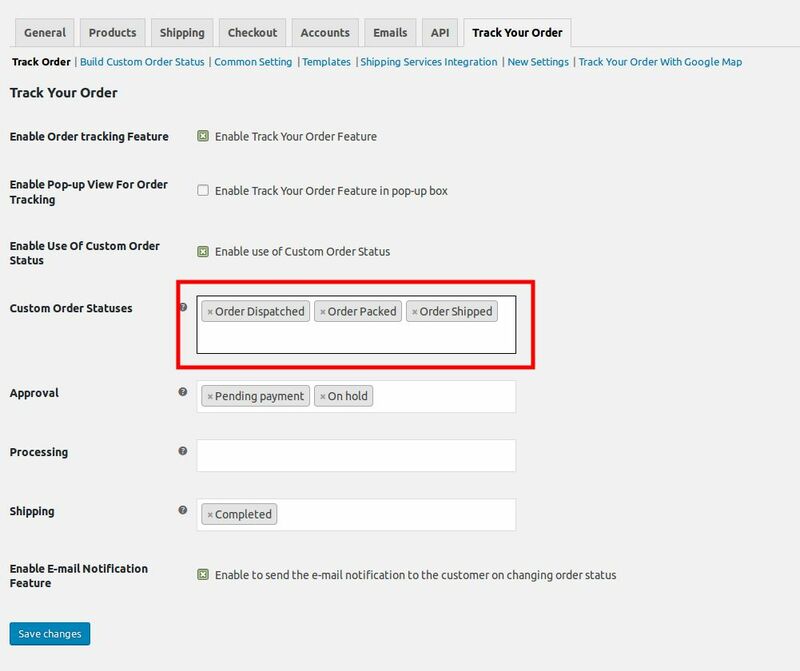 Shop admin can enable the feature to send the notification e-mail when the order status will change. Admin can enable/disable Google map for tracking. Admin selects the cities through which the client’s order with go through. Customer tracks own order on a real-time basis on Google map. 1. Download the zip folder of the plugin WooCommerce Order Tracker. 2. 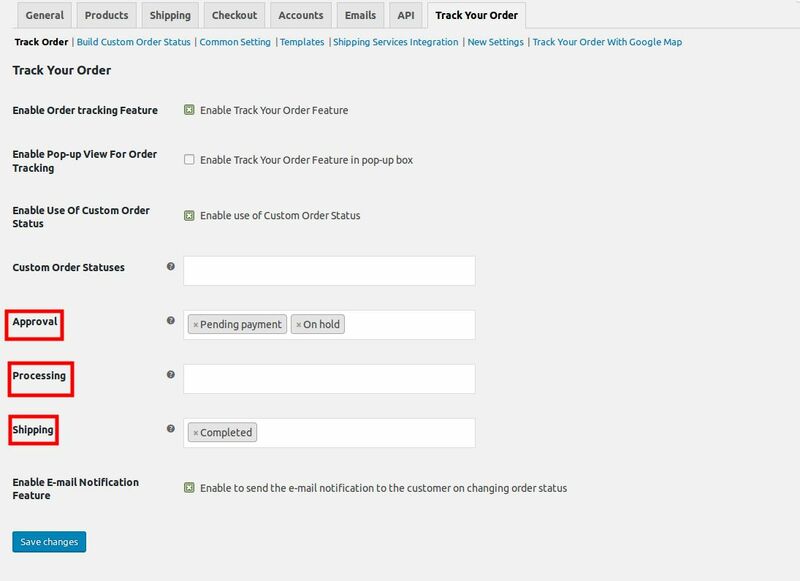 Once downloaded install the WooCommerce Order Tracker plugin through browsing and activate it. Manual installation of the plugin is another option to install the plugin to your WordPress-environment. 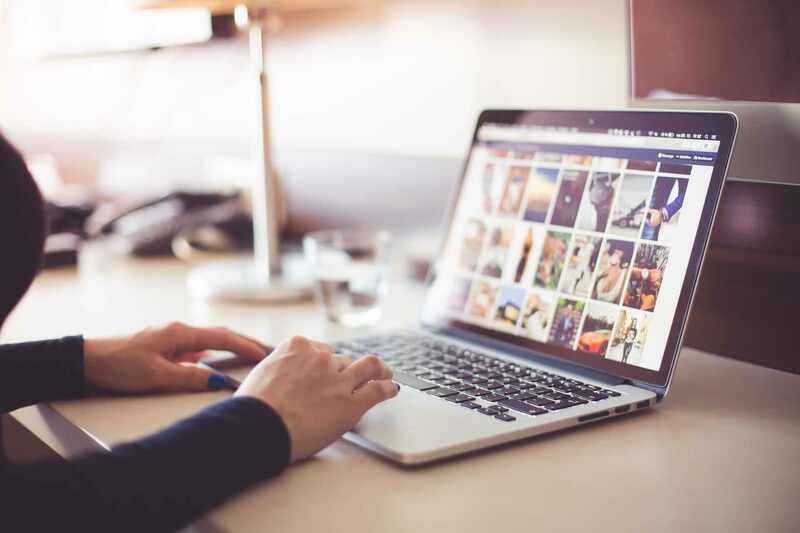 The manual installation method involves downloading our WooCommerce Order Tracker Extension and uploading it to your web server via your favorite FTP application. 1. Upload the WooCommerce Order Tracker folder to the /wp-content/plugins/ directory. The merchant can enable Order Tracking feature from here. The merchant can enable the use of custom order status feature from here. The merchant can enable order status feature in the pop-up. This feature provides the ability to admin to send the notification mail on changing the status of the order. This is the first section of tracking order. Admin needs to select order status that needs to be shown in this section while order tracking. This is the second section of tracking order. Admin needs to select order status that needs to be shown in this section while order tracking. This is a common setting for Creating custom order statuses. The user can perform the bulk delete action to remove all custom create order status. 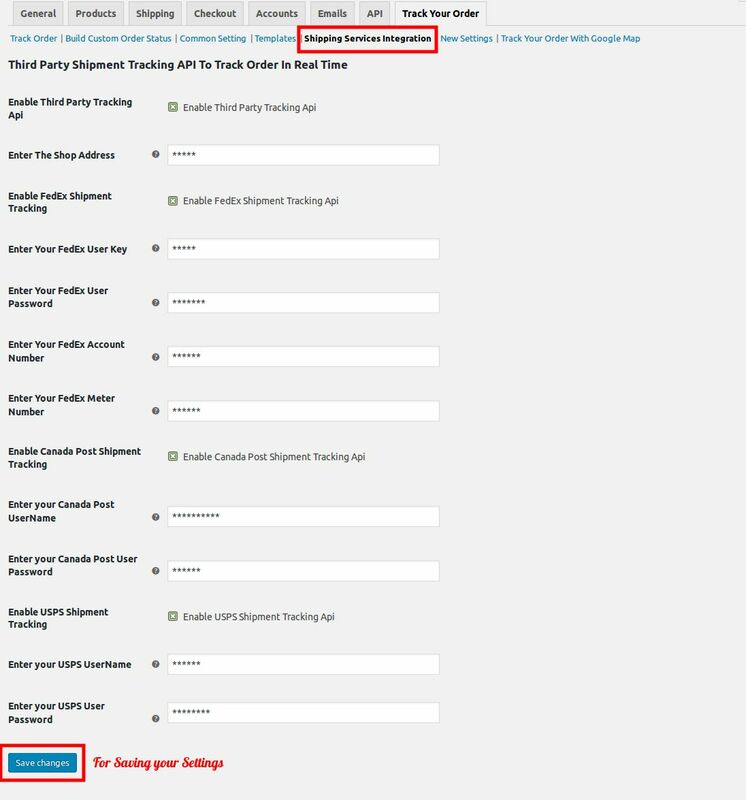 This is a common setting for Order Tracking Page and the Guest Tracking form. In this section, the user can change their tracking order page font color, font size, and background color etc. In this feature, you can easily track your product current location and their explicit delivery time. In this Feature, you can easily track your product current location with Google API. Admin can enable/disable the google map for tracking the product. After Enabling the Google map Enter your Google Map API key. Admin enters the address of the warehouse where the order will send. 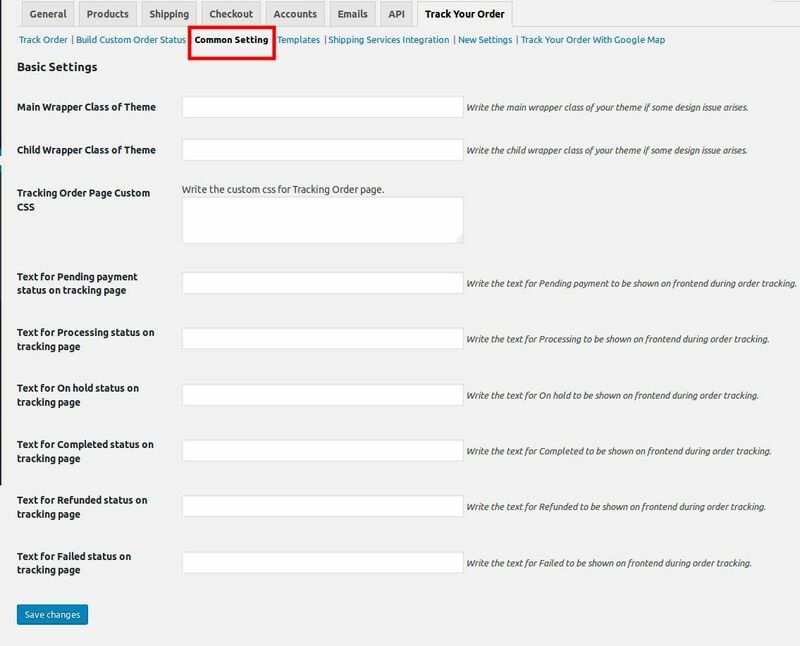 Enable the Track Order setting from the admin panel. Admin can select the use of the Custom status if desired. 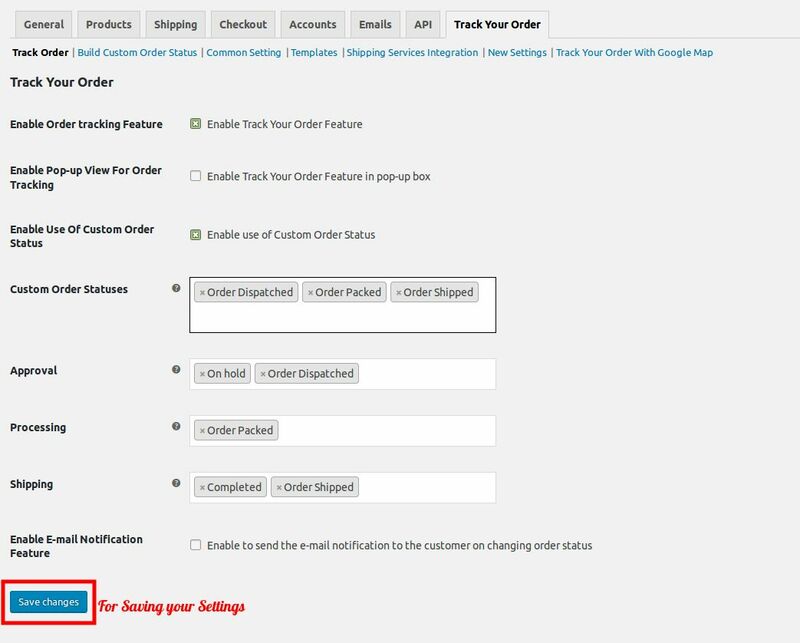 On selecting the use of Custom Order Statuses, a dropdown with new Order Statuses is shown for selecting the Order Statuses ( Order Packed, Order Dispatched, Order Shipped ).Shop Admin needs to select the order status for the different sections of tracking as shown in the image. The sections are APPROVAL, PROCESSING, and SHIPPING. You can select all the custom order statuses in one of the three sections. 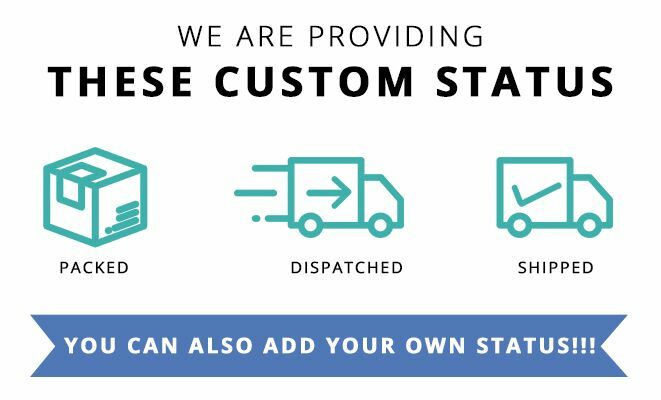 You can create more custom order statuses from build custom order sections. In the Common Settings Tab, the shop admin can fill in the messages to be displayed with the order statuses during order tracking. 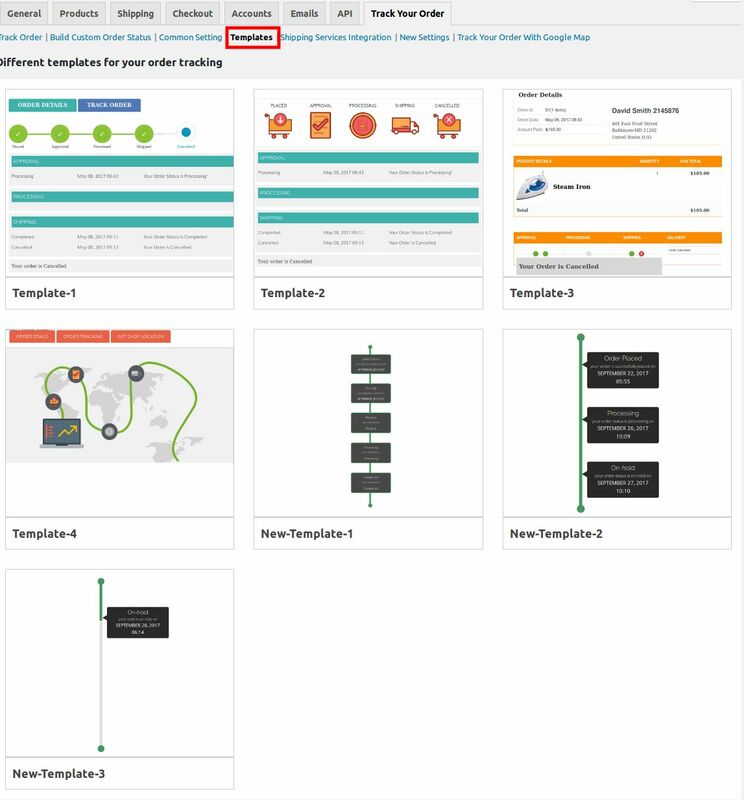 You can select one of the available templates for tracking the order from “Templates” option. The order statuses will show in a different section on the front end. The Order Status Selected for different sections will be listed accordingly while order tracking. 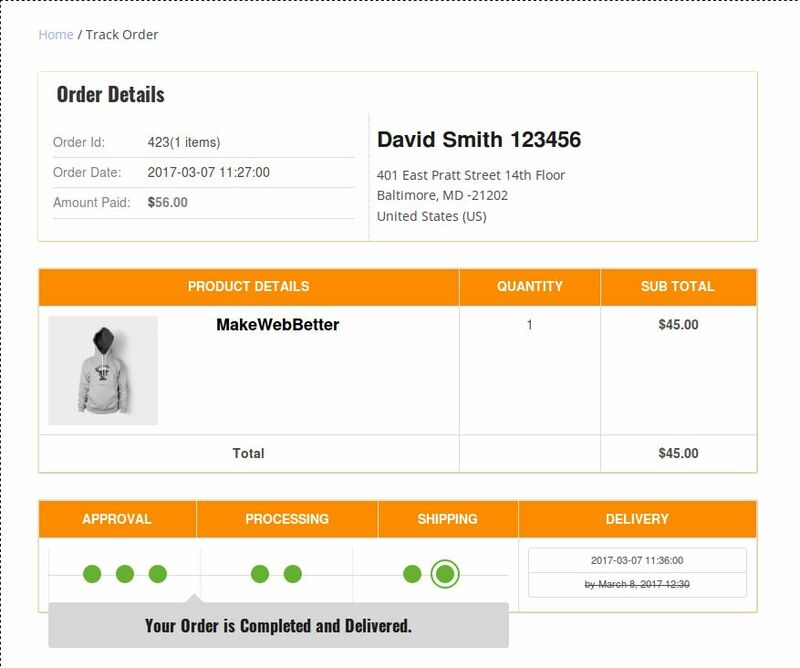 Once an order is placed Shop Admin can provide an estimated date and time for order delivery from the order edit page. 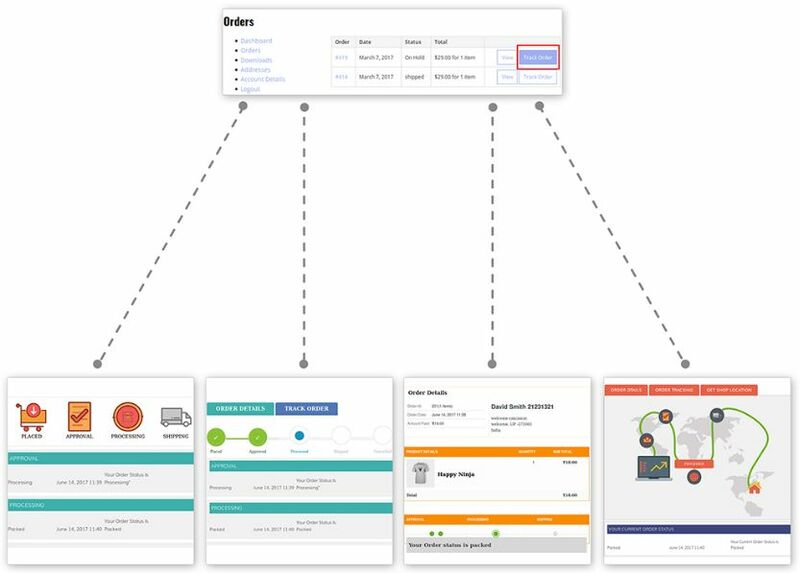 After enabling Shipment Services Integration, track order on a real-time basis. Once an order is placed Shop Admin can provide the FedEx tracking number from the order edit page. 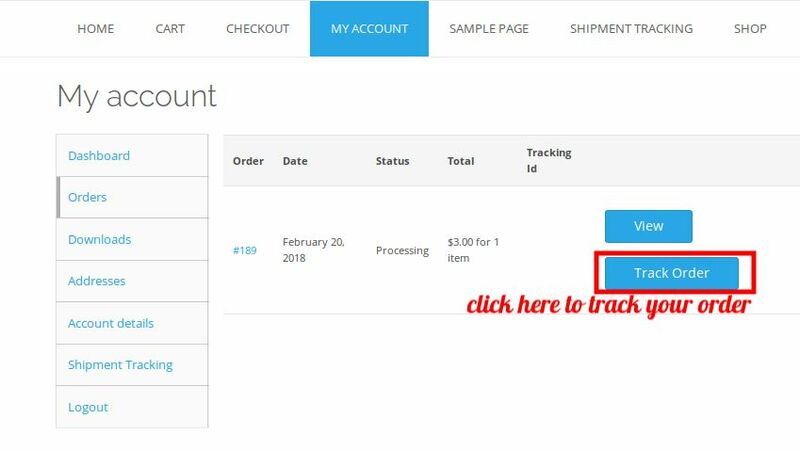 The customer can track their order form the My Account -> Order section. Not Logged in Users can also track their order from the TRACK YOUR ORDER page by just providing the ORDER ID and the customer EMAIL ID. 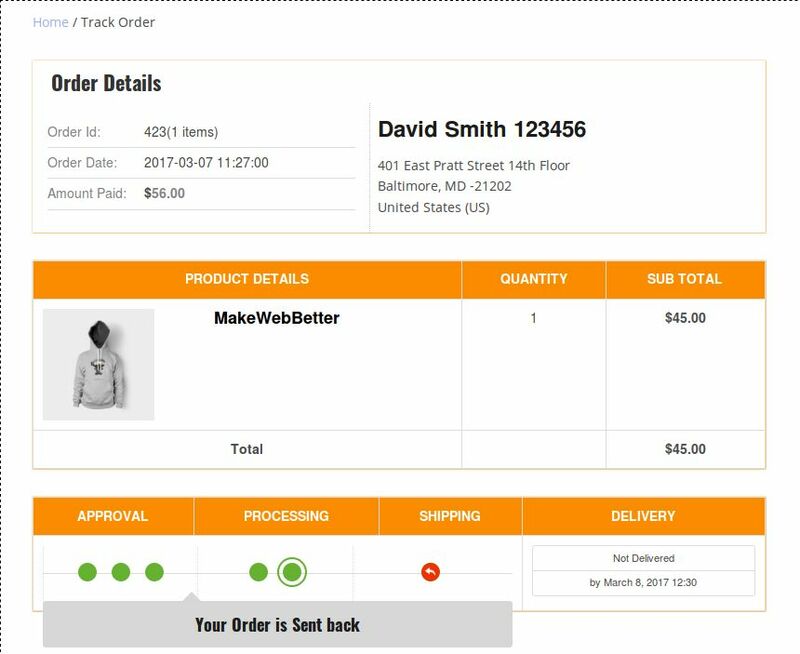 Just a click on Track Order and Customer will see the entire details and processing of their ORDERS. The order statuses through which the order is passed are shown in GREEN CIRCLE and the current status of the order is shown with DOUBLE CIRCLE. The message with all completed statuses is shown on hovering over the circle. In the case when admin enables the pop-up feature, the logged-in user can see their order status in the pop-up box. 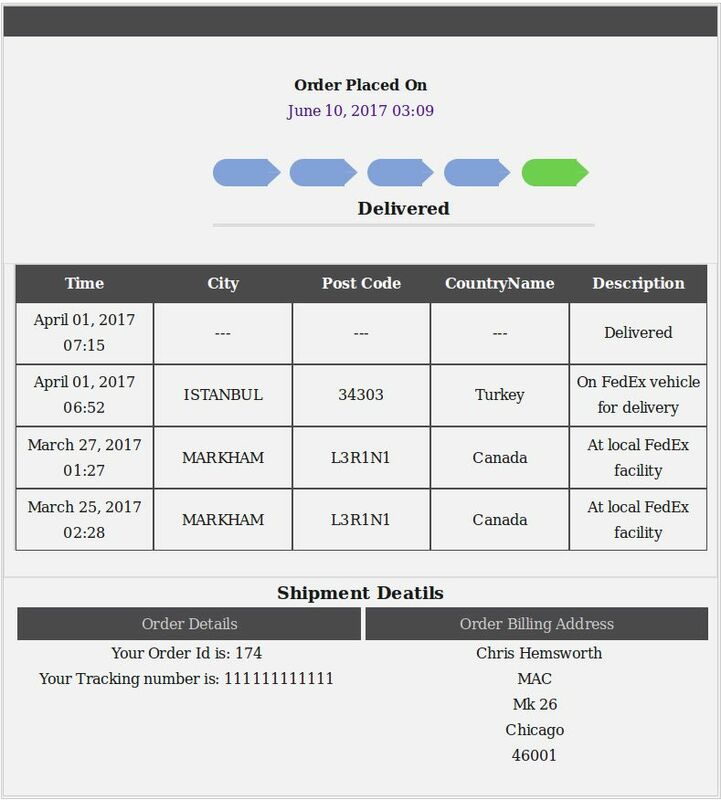 In case the Order is returned or reverted back to processing or any other status the order tracking will also show it to the customer. 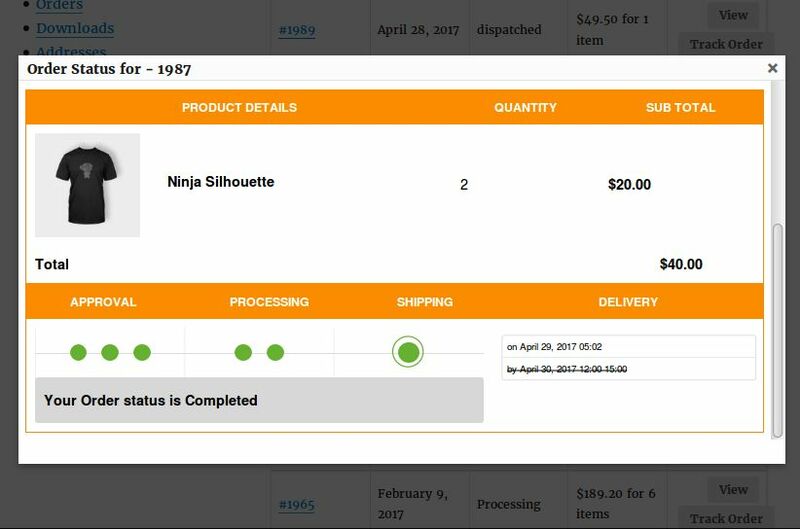 Order placed now need to track the status of your ordered products in a very interesting understandable way using various tracking templates. vision of our product and enhances our tracking feature to get more visualized. Enable the FedEx API setting from the admin panel. 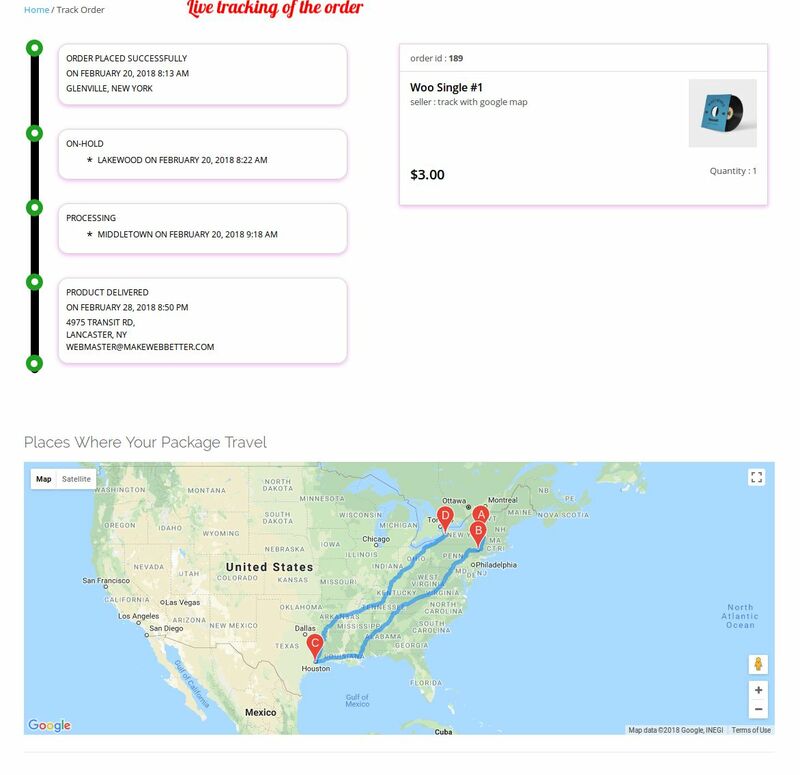 Admin can generate the tracking number with FedEx API to track their orders current location and explicit delivery time. After this, you can check in the order section. Your Tracking Id is generated by this section, using this Tracking Id you can easily track your order. 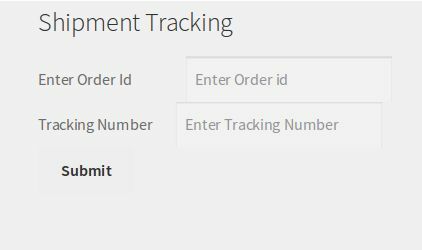 After generating the Tracking Number you just need to click on the My Account -> Shipment tracking option and enter the Order Id and Tracking Number. 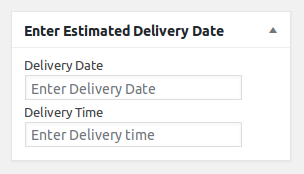 Now you can easily check your order products explicit delivery time with their current location. In this feature, admin can select newly added templates. Admin Enables Google Map API for Tracking, enter your Google API Key and enter the address where your order has gone. Clicking on save changes, all order details show with selected areas. The customer can Track the order clicking on the Track Order. Button. Customers track own order on a real-time basis on the google map.  That’s all about the Woocommerce Order Tracker Extension. 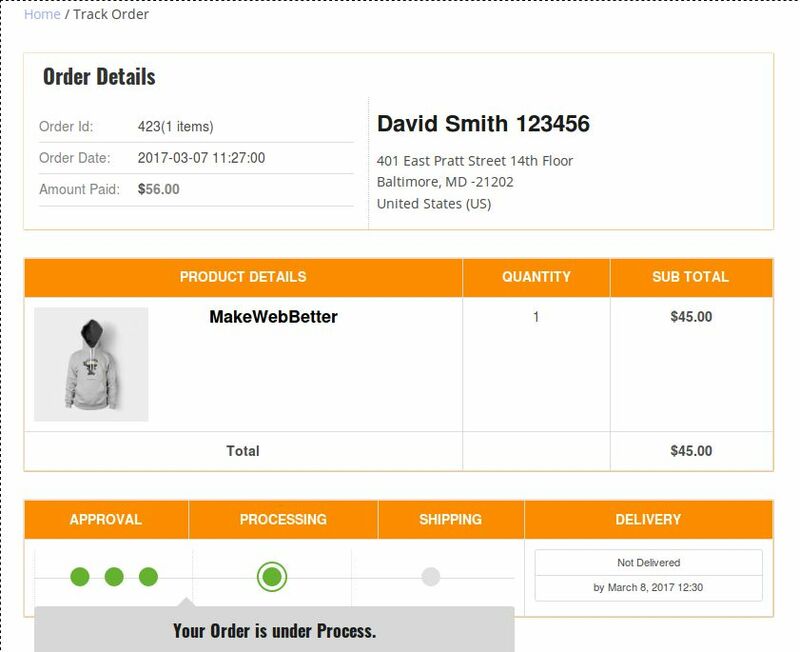 This extension is simple to use and will let your customer track their orders in the graphical and interactive way.